Despite predictions that Apple might pull in $37.4 billion in revenue for the June quarter, analysts had to be content with a slightly less spectacular $35 billion, with $8.8 billion in net profit. While $35 billion marks a big jump from $28.6 billion made during the same quarter in 2011, it falls short of Apple's previous quarter, which saw $39.2 billion in revenue. But the star of the quarter was clearly the iPad -- the Company's 10-inch tablet, which spawned many competitors. 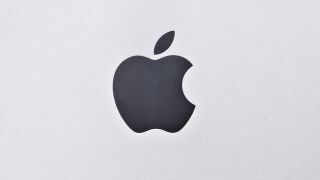 The iPad racked up an impressive 17 million units sold during fiscal Q3, marking an 84 percent year-over-year increase. "We're thrilled with record sales of 17 million iPads in the June quarter," said Tim Cook, Apple's CEO in a press release. "We've also just updated the entire MacBook line, will release Mountain Lion tomorrow [Wednesday, July 25] and will be launching iOS 6 this Fall," Cook added. "We are also really looking forward to the amazing new products we've got in the pipeline." Although executives were reticent to share details about those amazing new products, they found themselves having to defend the iPhone, which only sold 26 million units for a 28 percent year-over-year growth. Buoyed by new Ivy Bridge MacBooks introduced last month, Apple also sold an impressive 4.0 million Macs during fiscal Q3, a two percent year-over-year gain even as the overall PC market slid by another one percent. Last but not least, even though iPod sales were down, Apple continued to dominate more than 70 percent of the portable MP3 player market in most countries. Apple sold 6.8 million units during the quarter - a 10 percent decline over last year, but not bad considering its age.